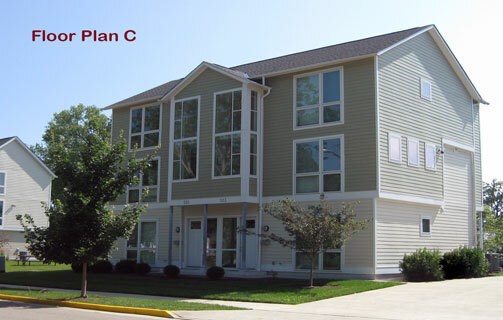 South Campus Quarter encompasses multiple rental properties located on South Campus Avenue adjacent to Miami University. The general location of each of these properties can be seen on the map, and specific information about each property is available below. 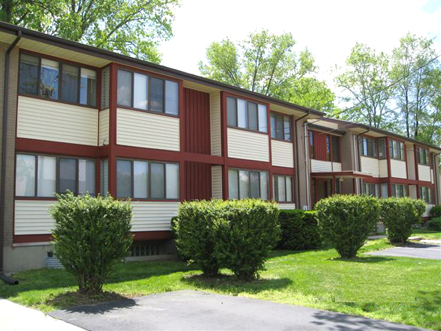 Information about the leasing process is available on our Leasing page. 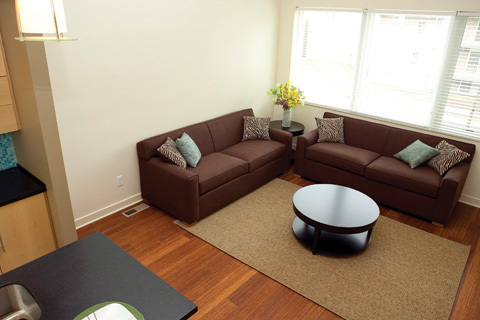 If you need assistance finding roommates, check out our Roommates Needed List. Now Leasing 20-21 April Special! Lease Signing Special! Contact office (513-523-1647) for details. 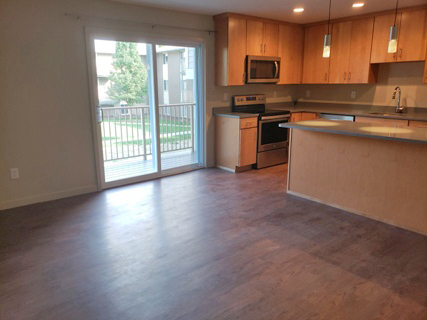 $3,550+ Campus Commons, Spr Sem Only Campus Courts. Pricing is per person/semester. 111 Bern St House 19-20 PRICE DROP! $2,500 person/semester. Click here for details. 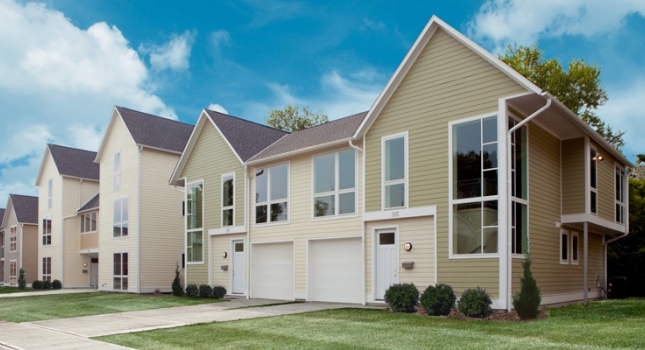 Campus Commons duplexes offer contemporary modern living spaces, ideal for living and entertaining. 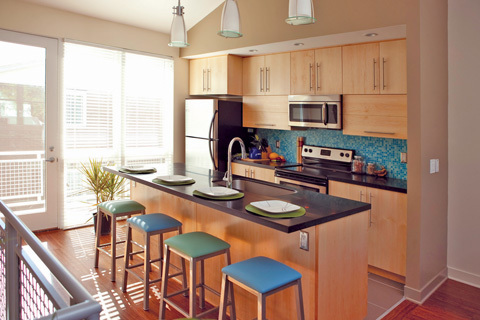 These spacious units feature open floor plans, private decks and patios, fully equipped kitchens with stainless steel appliances, and generous parking. 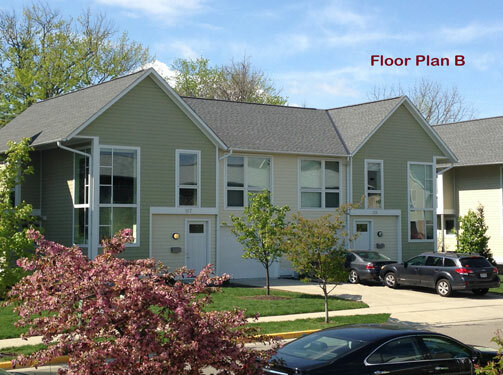 Campus Commons has a number of different floor plan options, each with unique features, so be sure to explore them all to determine which is the best fit for you. With their convenient location in the quarter, beautiful architectural design, and affordable pricing, Campus Commons are the best value in town. Ask office about two and three person special. Over the next four years, Campus Courts Apartments will be undergoing a complete renovation, with one building being remodeled each summer. 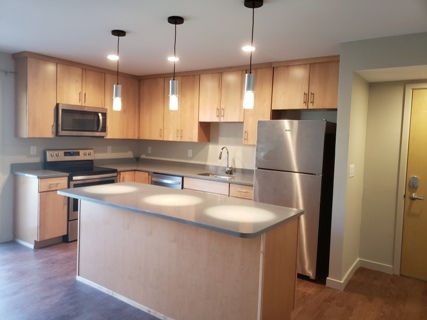 Remodeled apartments will feature a modern open concept design, with brand new, fully equipped kitchens, including stainless steel appliances. All drywall and flooring will be replaced, and central heating and air conditioning will be installed. 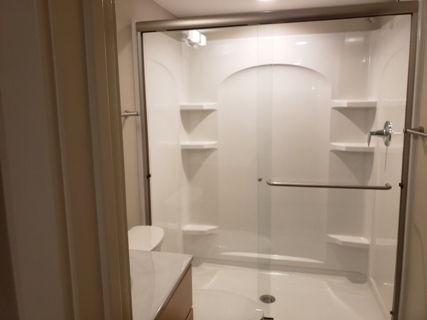 Bathrooms will be completely redone, with new tile floors and showers, and each apartment will have its own in-unit washer and dryer. 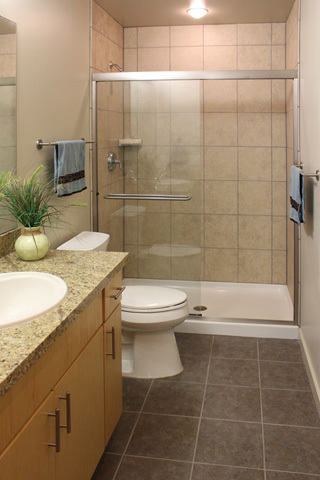 Bern Street Apartments are some of our most architecturally pleasing units. 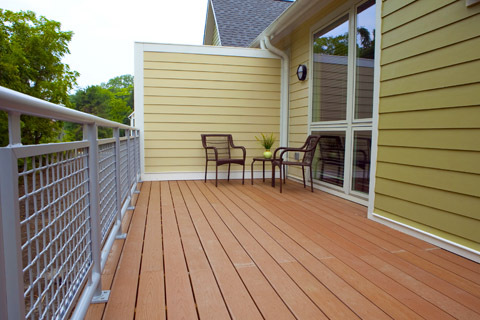 They have hardwood floors in the bedrooms and halls, large bedrooms, and spacious living rooms. 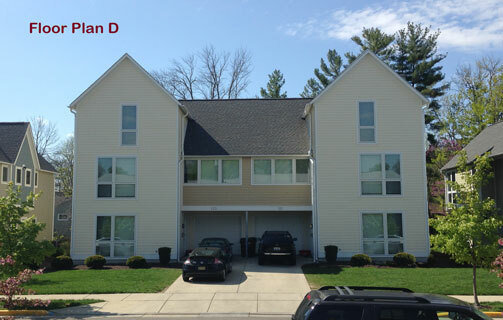 The upper floor apartments have vaulted ceilings and balconies, and the ground floor apartments have porches facing the courtyard. 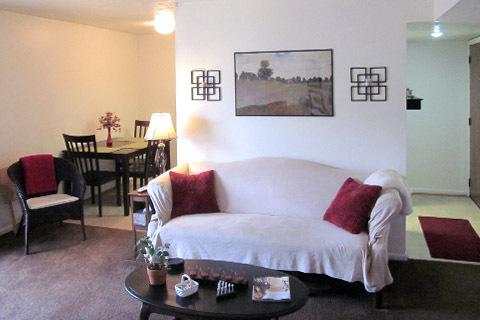 These apartments go quickly, so if you are interested, apply early. 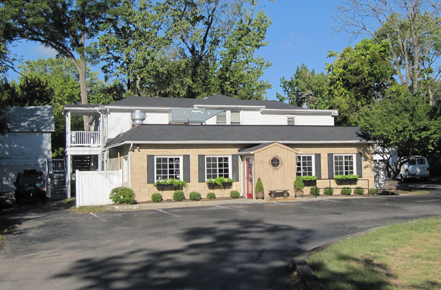 308 S. Campus Ave. Apartments are quaint one bedroom apartments located above Paesano’s Restaurant. With the bustling restaurant below, and their small and intimate size, these rooftop units are cozy and welcoming. 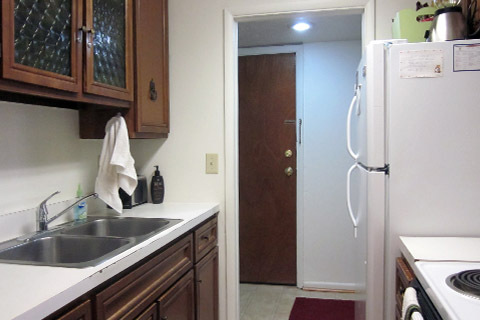 These apartments are offered on a 1 year lease only. 111 Bern Street House is one of two single family rentals in The Quarter. 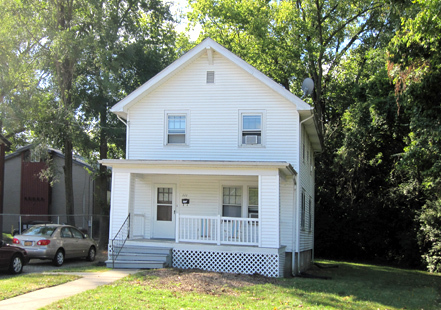 This quaint house offers a welcoming front porch and yard. At one point the home of famous football coach Weeb Eubanks, living in this house is like being a part of history. The 530 S. Campus Ave. House is located right in the middle of the Quarter. 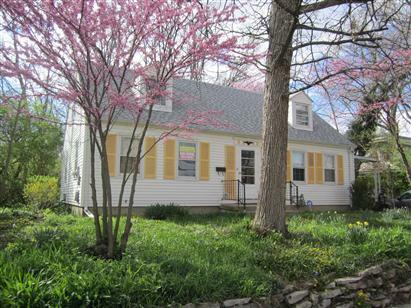 A wonderful little house, it was originally home to Paul Baer’s son and his family. 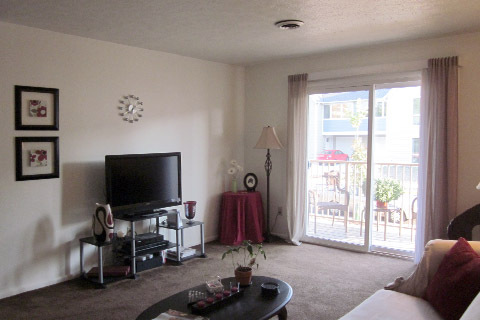 With its own living and dining room, spacious upstairs bedrooms, and two full baths, it is an ideal place to live and entertain. 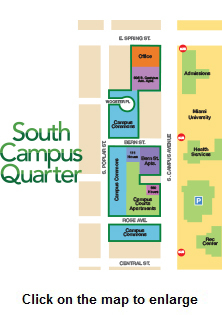 South Campus Quarter is a family owned student rental business. 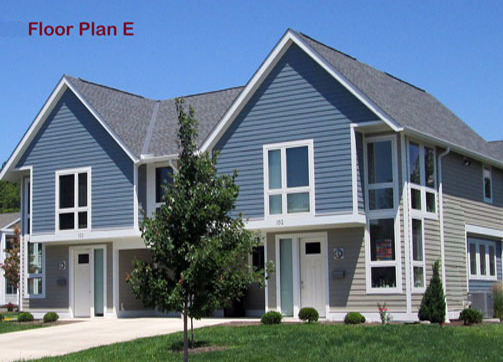 With apartments located on South Campus Avenue, adjacent to the Miami University Campus, we provide off-campus living with the convenience of on-campus living. 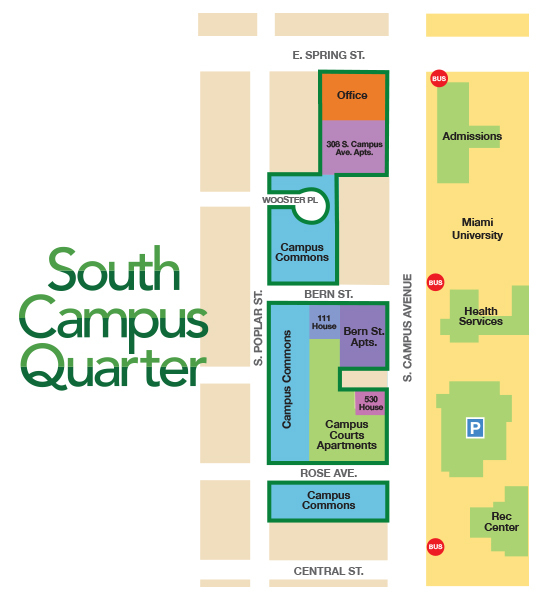 South Campus Quarter offers a variety of housing styles, from quaint one bedroom apartments to newly built Green Design Duplexes, and is committed to offering quality student rentals.